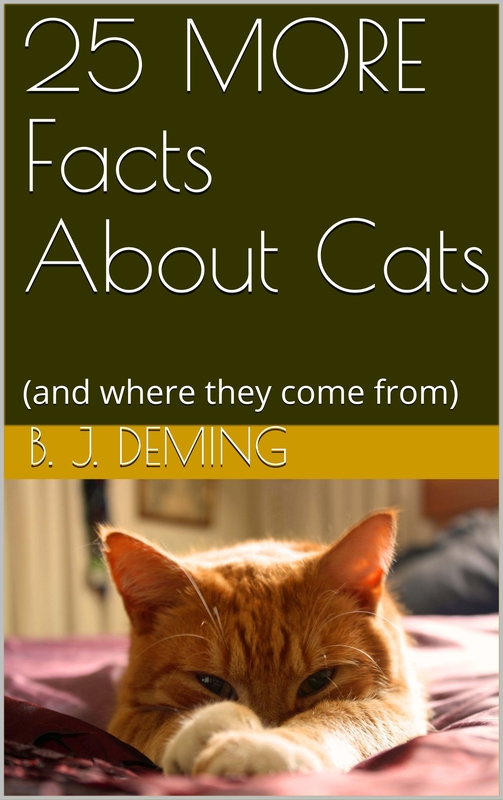 As many of you know, I’m working on an ebook, 50 Facts About Cats (and Where They Come From). Well, I finished the writing of it today!!!! There is still work to do, of course, but I hope to have it up on Amazon within the next two weeks. Yes, faithful readers, goodies are planned for you! Lately it has just been cats and volcanoes here, with the occasional news from space, but I know that some people who are drawn here by the volcano and other geology stuff wonder why there are so many cat posts; and cat people wonder why there is so much geology. Now that this blog is doing so well, I do have to work out its focus more, but it is about Earth–a big place. Probably I will spin off the archives of the better posts on various topics as web pages on particular subjects. How did cats get into it? Well, about four years ago I decided to write a book about cat evolution, with emphasis on the paleontology. Fossils fit into a geology blog very nicely. It seemed like a chocolate/peanut butter thing. However, upon doing some reading at the University of Oregon’s library and also at OSU’s Valley Library, I was just gobsmacked at what has gone on over Earth’s history in the past 65 million years of carnivore and cat evolution. All that has had its effects on cats, certainly, but in trying to figure everything out, I became better acquainted with fossil cats and cat-like predators and discovered their story is quite a saga, too. It was too much for one book, especially one’s first. 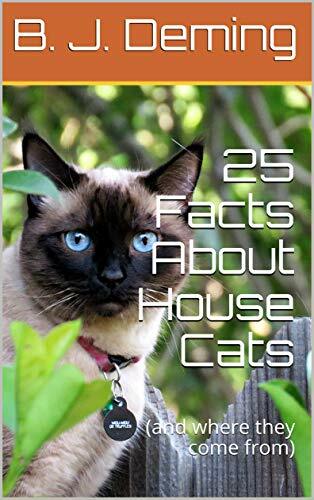 Someone suggested a series, and I figured it would be good to start with house cats–the cat family (and its fossil relatives) all have the same general body plan and everyone is familiar with Fluffy, so it’s a good place to begin a series. Also, it’s good practice for writing before I get into the more complicated zoological and geoscience business. Or so I thought. Actually writing is hard, no matter what your topic. I have learned so much, and I think my blogging reflects that over the last year or so. This work on cat books is having a beneficial effect on all my writing. Meanwhile, Popocatepetl keeps everyone on edge, down in Mexico, and the Sunday Morning Volcano is fun. Over the next two weeks (or however long it takes to get the book out), I won’t be doing much here except live-blogging Popocatepetl (see link at top of page). There is a Feline Friday post scheduled for tomorrow, and a Morning Volcano post this Sunday, but otherwise things are going to quiet down as I finish this up. Thank you so much for following and reading this blog, and thus encouraging me to continue writing about things that I love. Featured image: Jo-Knopf, at Pixabay Public domain. I am happy to see that I am not the only one to write about cats/kittens.